Before we review the teachings of HAMASHIACH, let us consider the meaning of the English word morality. The word describes the condition of adhering to morés, or the condition of acting in conformity with morés; i.e., the state of being moral. Morés are the customs of the social order defining them. For example, it may be the custom of the people to drive their automobiles within 5 miles per hour of the posted speed limit. Driving consistently with this moré would then make you moral, and the practice by the social order of driving this speed is called morality. Compare the term morality with the idea of ethics. 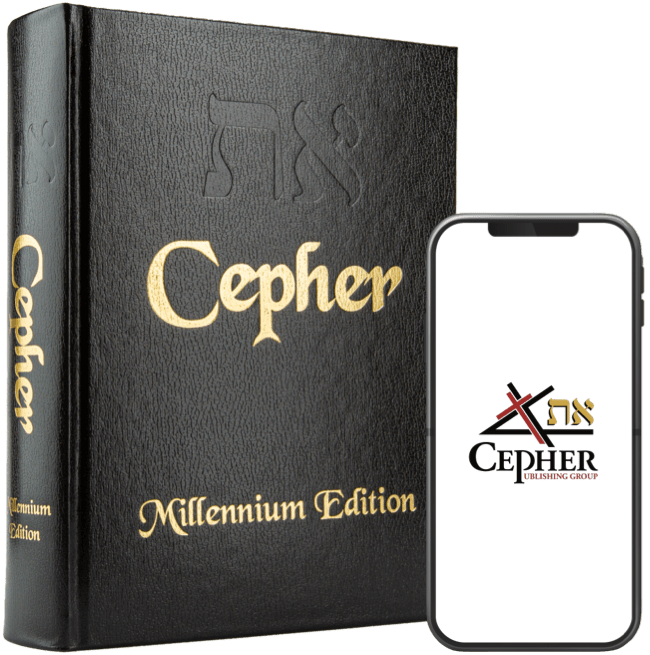 While we can discuss the English understanding today, consider that within the text of the Eth Cepher, we have set out the word eth (את) over 9,800 times. This word is extremely important in understanding Scripture in general and has escaped translation in all English texts. This word eth is spelled in the Ivriyt (Hebrew) as aleph (א) tav (ת). The aleph (א) was initially a pictograph of the ox head, the symbol of strength and was often construed as a crown of leadership, and the tav (an ex in paleo-Ivriyt) (ת) means the mark, even the mark of salvation. Slay utterly old and young, both maids, and little children, and women: but come not near any man upon whom is the mark (tav ותָּ); and begin at my sanctuary. Then they began at the ancient men which were before the house. So, here we have the mark, the tav, as the symbol of salvation. But consider that the aleph tav is referenced also in the book Chizayon. I am Aleph Tav את, the beginning and the ending, says YAHUAH ELOHIYM, which is, and which was, and which is to come, ELOHIYM TSEVA’OT. I was in the RUACH on the day of YAHUAH, and heard behind me a great voice, as of a shofar, 11 Saying, I am Aleph and Tav את, the first and the last: and, What you see, write in a cepher, and send it unto the seven called out assemblies which are in Asia; unto Ephesus, and unto Smyrna, and unto Pergamos, and unto Thyatira, and unto Sardis, and unto Philadelphia, and unto Laodicea. 12 And I turned to see the voice that spoke with me. And being turned, I saw seven golden menorahs; 13 And in the midst of the seven menorahs one like unto the Son of Adam, clothed with a garment down to the foot, and girt about the chest with a golden girdle. 14 His head and his hairs were white like wool, as white as snow; and his eyes were as a flame of fire; 15 And his feet like unto fine brass, as if they burned in a furnace; and his voice as the sound of many waters. 16 And he had in his right hand seven stars: and out of his mouth went a sharp twoedged sword: and his countenance was as the sun shines in his strength. 17 And when I saw him, I fell at his feet as dead. And he laid his right hand upon me, saying unto me, Fear not; I am the first and the last: 18 I am he that lives, and was dead; and, behold, I am alive forevermore, Amen; and have the keys of She’ol and of death. And he that sat upon the throne said, Behold, I make all things new. And he said unto me, Write: for these words are true and faithful. 6 And he said unto me, It is done. I am Aleph and Tav את, the beginning and the end. I will give unto him that is athirst of the fountain of the water of life freely. 7 He that overcomes shall inherit all things; and I will be his ELOHIYM, and he shall be my son. I am Aleph and Tav את, the beginning and the end, the first and the last. 14 Blessed are they that do YAHUAH’S commandments, that they may have right to the tree of life, and may enter in through the gates into the city. We begin to see here that the aleph tav (eth) becomes pretty important, especially given that it appears over 9,800 times in the text. But, let’s consider a couple of other words that are worthy of consideration. One word is aleph vav tav (אות), which is the word oth, and which means a sign, or ensign. The tedushah (the sod meaning of the word considering the meaning of the letters) of this word finds that the aleph tav is fixed with the vav – the nail. That is to say that in the center of the beginning and the end is the nail – the same nail that would fix MASHIACH to the cross. This was done as a sign – a sign of salvation for all mankind. Another word, which interestingly enough, is found in the Greek, is the word ethnos. Now, in the Hebrew, this would be spelled aleph tav nun vav shin (אתנוש). This word is the word that is translated throughout the Brit Chadasha (New Testament) as Gentile. Its tedusha, however, means chaos, the nail, the seed, and the aleph tav; i.e., chaos is nailed by the seed of the aleph tav. Ethnos (Gentiles) can be understood to mean the seed of the sacrifice of the Son of Man. Finally, we get to the word ethic. In its spiritual sense, the word means that which is consistent with or born of the aleph tav. For our purposes here, in understanding morality, this is exactly the core of our discussion, because that which is behind the customs, morés, and practices of a given social order, is the ethos of the social order; i.e., the reason why such a custom, moré, or practice is continued. To be ethical is to be consistent with or born of the testimony of HAMASHIACH and consistent with or born of the keeping of His commandments.